So you want to give Judo a try? Then come along to some sessions and see what it is all about! Judo starts on the 8th September at Chalfont and the 11th at Evreham ..... Be prepared to get fit! 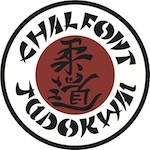 Chalfont & Evreham Judokwai welcome children from eight years and upwards and for the senior sessions from sixteen and upwards (if you are fourteen or above and 3rd Kyu (Green) or above you are also welcome at the senior sessions). We regret that we are not able (for reasons of insurance) to take children under eight. If you, your son or daughter wishes to give Judo a try, the best thing to do is to come along to the club and join in a few sessions. The first four sessions are without charge whilst you decide if this is the right thing for you. All you need to do is to turn up in a loose fitting track suit bottom with a T-shirt. Make sure that there is no metal anywhere (eg. jewellery, piercings, hair clips etc.) and that your nails finger and toe nails are short. At this stage you do not need a Judogi (judo suit). After your initial month you will need to get a Judogi and to pay the subscription fees. As the Judo club is run on a voluntarily basis, the charges are very low compared to other similar activities and there are substantial discounts for siblings. Further, membership of one of the below clubs entitles you to attend the other club whenever you wish. A leaflet about the club can be found here. I first started Judo when I was a small midget of a timid nine year old. Previously, I had been doing Karate for a couple of years and whilst I had progressed to about the fourth belt, I was still, as my Dad says, 'punching the air'. It was a rare and special time when the Sensei would get out the thick black gloves into which we would punch and kick. So when he heard about the Judo club run by Roy Sensei and remembered his own happy successful years of Judo as a young lad with a Blue belt, he took my brother, Noah and I along with him. I am 14 now and Noah is 12. My other (younger) brother, Jonah, who is nine does it also and my Mum comes along to the Senior sessions occasionally as well. My dad now teaches and is a Black belt. I am now a Green belt with 3 Brown stripes and am a year and a half ahead of where I should be for my age. I now train once a week and often twice a week if I can. Judo has given me confidence, strength, knowledge, insight into Japanese, friends, safety, fitness but most importantly, I can now defend myself. I would say that out of most martial arts, Judo is definitely the most useful in terms of practicality because once one is taught how to fall without hurting yourself, safely, we do full body contact fighting from the start, which definitely gives an insight into what it would be like in a real-life fight. The lessons are cheap, the doing is fun, you get to make new friends, become fit in all areas of the body..... If any of this appeals to you, I would like to say on behalf of the club, come along and learn Judo! This club meets on Tuesdays from 6:45pm to 8:30pm. The Chalfont Club currently has space for a few more beginners. If you wish to register your interest, please email david@chalfontjudokwai.org.uk with your name, address and telephone number along with your son/daughter's name and we will acknowledge your interest and place you on the waiting list. We will let you know as soon as we have space. This club meets on Thursdays from 7:30pm to 8:15pm for under 12's and 7:30pm to 9:30pm for over 12's and seniors. We are currently able to take new members in both the junior and senior sessions. For information on where to find us click here. Club members who attended the 12th July grading all came away happy with every single member being graded. Particular note goes to Tom who with his third black stripe has now graded as far as he can until he turns senior and to Simone who has jumped from raw beginner to Orange one green stripe. Whose progress has leaped in the last year. With a Silver at the Welsh Nationals and a Gold at Didcot she has cemented her competition credentials whilst also gaining her third Brown tab and dramatically improving her Kata including a study of Ju no Kata.